If asked to describe a successful business, most people will tell you that it is one that makes money and that is not an unreasonable starting point, but it is not a good ending point. For a business to be a success, it is not just enough that it makes money but that it makes enough money to compensate the owners for the capital that they have invested in it, the risk that they are exposed to and the time that they have to wait to get their money back. That, in a nutshell, is how we define investment success in corporate finance and in this post, I would like to use that perspective to measure whether publicly traded companies are successful. I do make adjustments to operating income and invested capital that reflect my view that accounting miscategorizes R&D and operating leases. I am still using a bludgeon rather than a scalpel here and the returns on invested capital for some companies will be off, either because the last year’s operating income was abnormally high or low and/or accountants have managed to turn the invested capital at this company into a number that has little to do with what is invested in projects. That said, I have the law of large numbers as my ally. In general, especially when comparing large numbers of stocks across many sectors, the capital comparison is a more reliable one than the equity comparison. My end results for the capital comparison are summarized in the picture below, where I break my global companies into three broad groups. 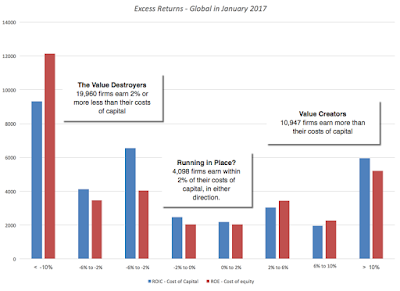 The first, value creators, includes companies that earn a return on invested capital that is at least 2% greater than the cost of capital, the second, value zeros, includes companies that earn within 2% (within my estimation error) of their cost of capital in either direction and the third, value destroyers, that earn a return on invested capital that is 2% lower than the cost of capital or worse. 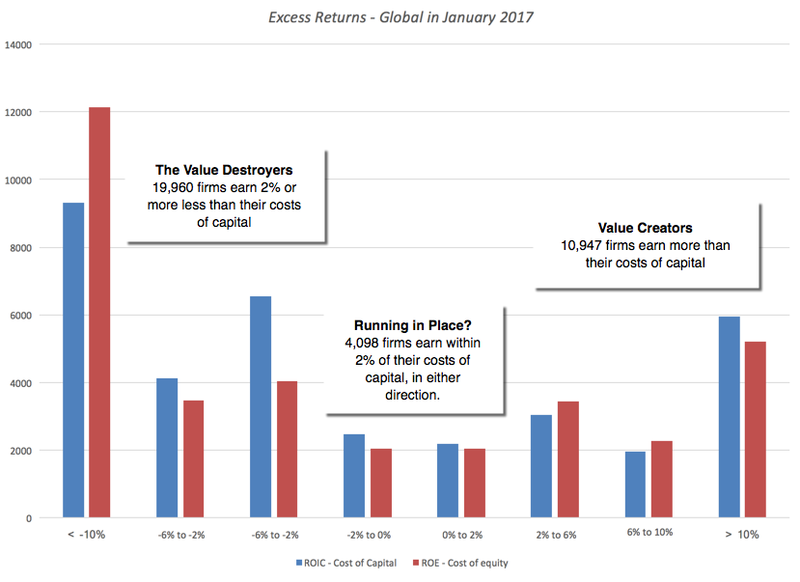 The public market place globally, at least at the start of 2017, has more value destroyers than value creators, at least based upon 2016 trailing returns on capital. The good news is that there are almost 6000 companies that are super value creators, earning returns on capital that earn 10% higher than the cost of capital or more. The bad news is that the value destroying group has almost 20,000 firms (about 63% of all firms) in it and a large subset of these companies are stuck in their value destructive ways, not only continuing to stay invested in bad businesses, but investing more capital. If you are wary because the returns computed used the most recent 12 months of data, you are right be. To counter that, I also computed a ten-year average ROIC (for those companies with ten years of historical data or more) and that number compared to the cost of capital. As you would expect with the selection bias, the results are much more favorable, with almost 77% of firms earning more than their cost of capital, but even over this much longer time period, 23% of the firms earned less than the cost of capital. Finally, if you are doing this for an individual company, you can use much more finesse in your computation and use this spreadsheet to make your own adjustments to the number. Many of the sectors that delivered the worst returns in 2016 were in the natural resource sectors, and depressed commodity prices can be fingered as the culprit. Among the best performing sectors are many with low capital intensity and service businesses, though tobacco tops the list with the highest return spread, partly because the large buybacks/dividends in the sector have shrunk the capital invested in the sector. For investors, looking at this listing of good and bad businesses in 2017, I would offer a warning about extrapolating to investing choices. 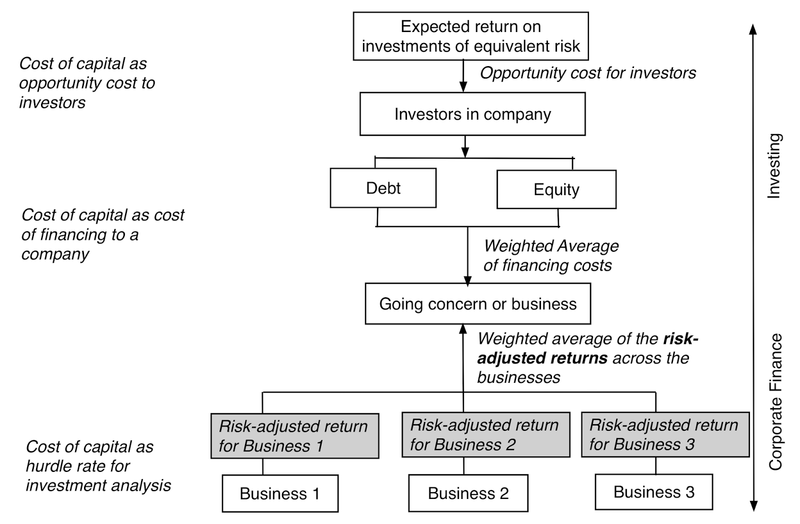 The correlation between business quality and investment returns is tenuous, at best, and here is why. To the extent that the market is pricing in investment quality into stock prices, there is a very real possibility that the companies in the worst businesses may offer the best investment opportunities, if markets have over reacted to investment performance, and the companies in the best businesses may be the ones to avoid, if the market has pushed up prices too much. There is, however, a corporate governance lesson worth heeding. Notwithstanding claims to the contrary, there are many companies where managers left to their own devices, will find ways to spend investor money badly and need to be held to account. I am not surprised, as some might be, by the numbers above. In many companies, break even is defined as making money and profitable projects are considered to be pulling their weight, even if those profits don’t measure up to alternative investments. A large number of companies, if put on the spot, will not even able to tell you how much capital they have invested in existing assets, either because the investments occurred way in the past or because of the way they are accounted for. It is not only investors who bear the cost of these poor investments but the economy overall, since more capital invested in bad businesses means less capital available for new and perhaps much better businesses, something to think about the next time you read a rant against stock buybacks or dividends. January 2017 Data Update 6: A Cost of Capital Update! 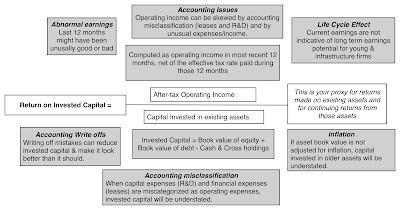 I have described the cost of capital as the Swiss Army knife of finance, a number that shows up in so many different places in corporate financial and analysis and valuation and in so many different contexts, that it is easy to mangle and misunderstand. In this post, my objective is simple. I will start with a description of the sequence that I use to get to a cost of capital for companies in January 2017, but the bulk of the post will be describing what the cost of capital looks like at the start of 2017 for companies around the world. As I move from corporate finance to valuation to investment philosophies, the one number that seems to show up in almost every aspect of analysis is the cost of capital. In corporate finance, it is the hurdle rate that determines whether companies should make new investments, the optimizer for financing mix and the divining rod for how much to return to stockholders in dividends and buybacks. In valuation, it is the discount rate in discounted cash flow valuations and the determinants of enterprise value multiples (of EBITDA and sales). It is perhaps because it is used in so many different contexts by such varied sub-groups that it remains a vastly misunderstood and misused number. If you are interested in reading more about the cost of capital, you may want to try this paper that I have on the topic (it is not technical or theoretical). The cost of capital is the weighted average of the costs of equity and debt for a business. While entire books have been written on the measurement questions, I will keep it simple. 1. The cost of equity is the rate of return that the marginal investors, i.e., the investors who are most influential at setting your market price, are demanding to invest in equity in your business. To get to that number, you need three inputs, a risk free rate to get started, a measure of how risky your equity is, from the perspective of the marginal investors, and a price for taking that risk. In the rarefied world of the capital asset pricing model, you assume that the marginal investor is diversified, beta measures relative risk and the equity risk premium is the price of risk, yielding a cost of equity. 2. The cost of debt is the rate at which you can borrow money, long term and today. It is not a historic cost of borrowing, nor can it be influenced by decisions on changing debt maturity. It can be computed by adding a credit or default spread to the risk free rate but it does come, in many markets, with a tax benefit which is captured by netting it out of your cost. The default spread can sometimes be observed, if the company issues long term bonds, sometimes easily estimated, if the company has a bond rating and you trust that rating, and sometimes requires more work, if you have to estimate default risk yourself. 3. The weights on debt and equity should be based upon market values, not book values, and can change over time, as your company changes. Since I want to compute the cost of capital for every one of the 42,668 firms that comprised this year’s sample, I had to make some simplifying (and perhaps even simplistic) assumptions, some of which were necessitated by the size of my sample and some by data limitations. I have summarized them in the picture below. I have computed the costs of capital for all companies in US dollar terms, not for parochial reasons, since converting to another currency is trivial (as I noted in my post on cracking the currency code) but to allow for consolidation and comparison. The costs of capital that I compute for individual companies have two shortcomings, driven primarily by data limitations. The first is that the beta that I use for a company comes from the business that it is categorized in, rather than a weighted average of the multiple businesses that it may operate in. 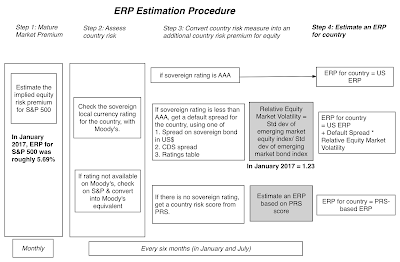 The second is that I have attached the equity risk premium of the country of incorporation rather than a weighted average of the ERPs of the countries in which a company operates; I had to do this since the revenue breakdowns by country were either not available for many companies or in too difficult a form to work with. If you want to compute the cost of capital for a company using my data, I have a spreadsheet that you can use that will let you break out of these bounds, allowing you to compute a beta across multiple businesses and an equity risk premium across many countries/regions. The first comparison I make is in the costs of capital across different countries and regions. The picture below shows cost of capital by country and you can download the data in a spreadsheet at this link. 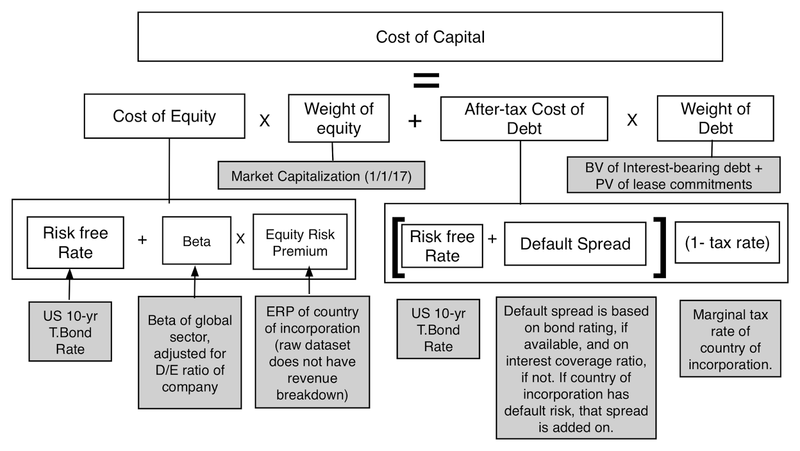 Country risk: Country risk shows up in two places in the cost of capital calculation, the equity risk premium for the company (which is set equal to the equity risk premium of the country it is in) and an additional default spread in the cost of debt. Industry concentration: Since my measure of relative risk comes from looking at the global beta for the sector in which a company operates, the cost of capital for a country will reflect the breakdown of industries in that country. Thus, the cost of capital for Peru, a country with a disproportionately large number of natural resource companies, will reflect the beta of mining and natural resource companies. Marginal tax rate: To the extent that a higher marginal tax rate lowers the after-tax cost of debt, holding all else constant, countries with higher marginal tax rates will have lower after-tax costs of debt and perhaps lower costs of capital. Debt ratio: Twinned with the marginal tax rate, in computing how much a company is being helped by the tax benefit of debt, is the amount of debt that the company uses, with higher debt ratios often translating into lower costs of capital. I next turn to industry groupings and differences in cost of capital across them. In the table below, I list the ten (non-financial service) industry groupings globally, with the highest costs of capital, and the ten, with the lowest, at the start of 2017.
Business risk: Some businesses are clearly more risky than others and I am using my sector betas to capture the differences in risk. Leverage differences: Companies in some sectors borrow more than others, with mixed effects on the cost of capital. The resulting higher debt to equity ratios push up sector betas more, leading to higher costs of equity. That, though, is more than partially offset by the benefit of raising financing at the after-tax cost of debt, a bargain relative to equity. Country exposure: Some industry groupings have geographic concentrations and to the extent that those concentrations are in countries with very low or very high risk, relative to the rest of the world, your cost of capital will be skewed low or high. 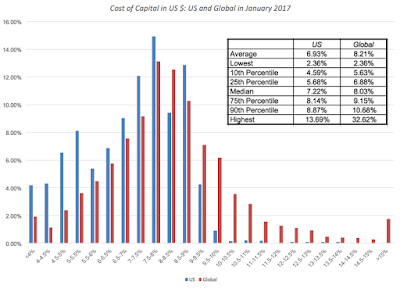 The median US $ cost of capital for a US company is 7.22%, 50% of all US companies have costs of capital between 5.69% and 8.14%, and 80% have costs of capital between 4.59% and 8.87%. If you expand the distribution to include all global stocks, your distribution widens but not by as much as you might think. 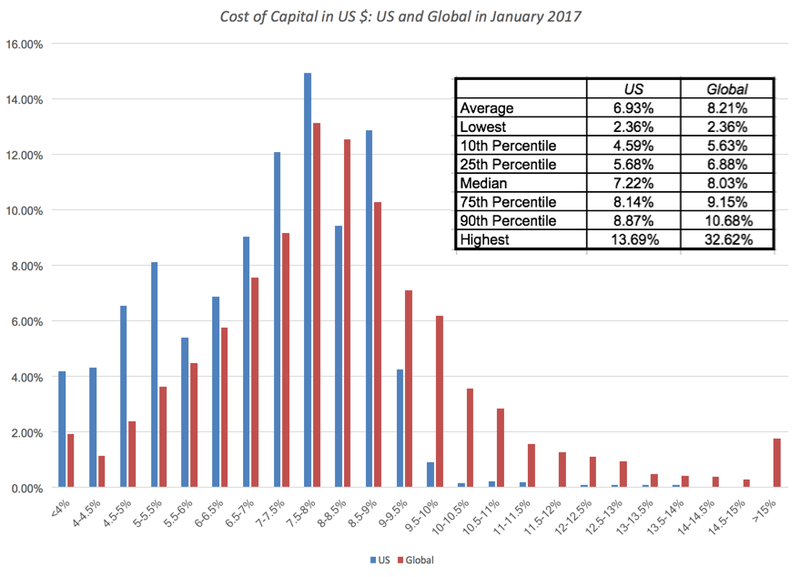 The median US $ cost of capital for a global company is 8.03%, half of all global companies have costs of capital between 6.88% and 9.15% and 90% of all companies globally have costs of capital between 5.63% and 10.68%. In other words, you don't have a lot of leeway to move your cost of capital for publicly traded firms. It is true that as you bring in other currencies into the mix, you can make the differences larger, but as I noted in my post on currencies, it is because of differences in inflation. You may want to pay heed to these distributions the next time that you see an analyst using a 20% US$ cost of capital to value a "risky" company or a 3% US$ cost of capital for a "safe" company, since neither number looks defensible, given the distribution. Don't make the cost of capital the receptacle of all your hopes and fears: Many analysts take to heart the principle that riskier firms should have higher costs of capital (or discount rates) but then proceed to intuit what that discount rate should be for company, given how risky they think it is. In the process, they often incorporate risks that don't belong in discount rates and attach prices for those risks that reflect their gut responses rather than what the market is paying. Focus on cash flows, not discount rates: When your valuations go awry, it is almost never because of the mistakes that you made on the discount rate and almost always because of errors in your estimates of cash flows (with growth, margins and reinvestment). Spend less time on estimating discount rates: It follows then that when you have a limited amount of time that you can spend on a valuation (and who does not? ), that time is better spent on assessing cash flows than in fine tuning the discount rate. An approximation works well : When I am in a hurry to value a company, I use my distributional statistics (see graph above) to get started. Thus, if I am valuing an average risk company in US dollars, I will start off using an 8% cost of capital (the global median is 8.03%) and complete my valuation with that number, and if I still have time, I will come back and tweak the cost of capital. If it is very risky firm, I will start off with a 10.68% cost of capital (the 90th percentile) and gain revisit that number, if I have the time. All in all, if your find yourself obsessing about the minutiae of discount rates in a valuation, it is perhaps because you want to avoid the big questions that make valuation interesting and challenging at the same time. January 2017 Data Update 5: A Taxing Year Ahead? There are three realities that you cannot avoid in business and investing. The first is that your returns and value are based upon the cash flows you have left over after you pay taxes. The second is that the taxes you pay are a function of both the tax code of the country or countries that you operate in and how you, as a business, work within (or outside) that code. The third is that the tax code itself can change over time, as countries institute changes in both rates and rules. The upcoming year looks like it will be more eventful than most, especially for US companies, as there is talk about major changes coming to both corporate and individual taxation. While we are often casual in our treatment of taxes, the value of a business is a affected substantially by tax policy, with our measures of expected cash flows and discount rates both being affected by taxes. In the numerator, you have expected cash flows after taxes, where the taxes you pay will reflect not only where in the world you generate income (since tax rates and rules vary across countries) but how the country in which you are incorporated in treats that foreign income. The US, for instance, requires US companies to pay the US tax rate even on foreign income, though the additional tax is due only when that income is remitted back to the US, leading to a predictable result. Multinational US companies leave their foreign income un-remitted, leading to the phenomenon of trapped cash (amounting to more than $2 trillion at US companies at the start of 2017). The denominator, which is the discount rate, is also affected by the tax code. To the extent that tax laws in much of the world benefit debt over equity, using more debt in your financing mix can potentially lower your cost of capital. In computing this tax benefit from debt, there are two points to keep in mind. The first is that interest expenses save you taxes at the margin, i.e., your dollar in interest expense offsets your last dollar of income, saving you taxes on that last dollar, making it imperative that you use the marginal tax rate when computing your tax benefit from borrowing. The second is that companies have a choice on where to borrow money and not surprisingly choose those locations where they get the highest tax benefit (with the highest marginal tax rate). Is it any surprise that while Apple generates its income globally and finds ways to pay an effective tax rate of 21% on its taxable income in 2016, almost all of its debt is in the United States, saving taxes at an almost 40% marginal tax rate? Following up, then, the values of all companies in a country can change, some in positive and some in negative ways, when tax codes get rewritten. Even if the corporate tax codes don’t change, a company’s decisions on how to structure itself and where geographically to go for growth will affect its cash flows and discount rates in future years. As you survey the world's marginal tax rates, you can see why trapped cash has become such a common phenomenon at US companies. The US has one of the highest marginal tax rates in the world at 40% (including a federal tax rate of 35%, topped off with state and local taxes) and is one of only a handful of countries that still insist on taxing companies incorporated in their domiciles on their global income, rather than adopting the more defensible practice of territorial taxation, where you require businesses to pay taxes in the countries that they generate their income in. As Congress looks at what to do about “trapped cash”, with many suggesting a one-time special deal where companies will be allowed to bring the cash back, they should also realize that unless the underlying reason for it is fixed, the problem will recur. That will mean either lowering the US marginal tax rate closer to the rest of the world (about 25%) or changing to a territorial tax model. The marginal tax rate is the number that you use to compute your after-tax cost of debt but that practice is built on the presumption that all interest expenses are tax deductible (and that you have enough taxable income to cover the interest deduction). That is still true in much of the world but there are parts of the world, where you either cannot deduct interest expenses (such as the Middle East) or you have taxes computed on a line item like revenues (thus nullifying the tax benefit of debt), where you will have to alter the practice of giving debt a tax benefit. For multinational companies that face different marginal tax rates in different operating countries, my recommendation is that you use the highest marginal tax rates across countries, since that is where these companies will direct their borrowing. 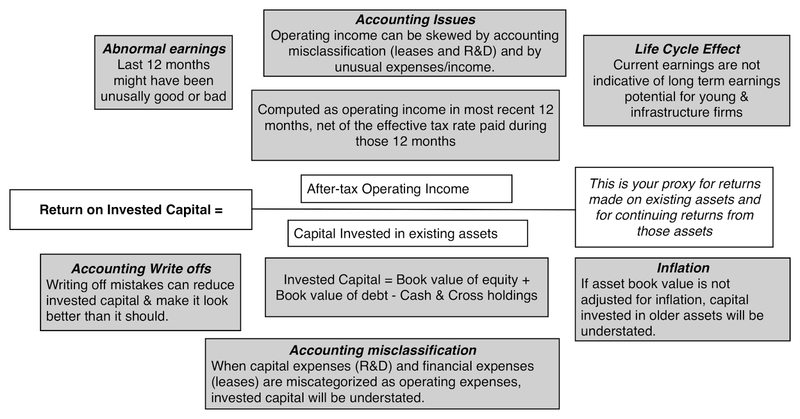 Both number are accrual income numbers and thus can be different from cash taxes paid, with the differences usually visible in the statement of cash flows. Let’s start with looking at what companies pay as effective tax rates in the United States, a country with a marginal tax rate of 40%. In the most recent twelve months leading into January 2017, the distribution of effective tax rates paid by tax-paying US companies is captured below. 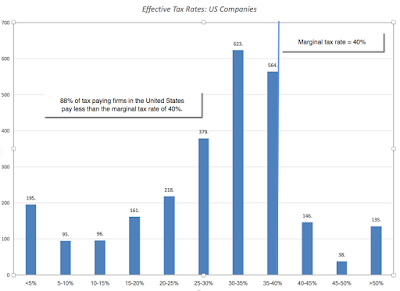 The most interesting numbers in this distribution are the average effective tax rate of 26.42% across profitable US companies, well below the marginal tax rate of 40%. 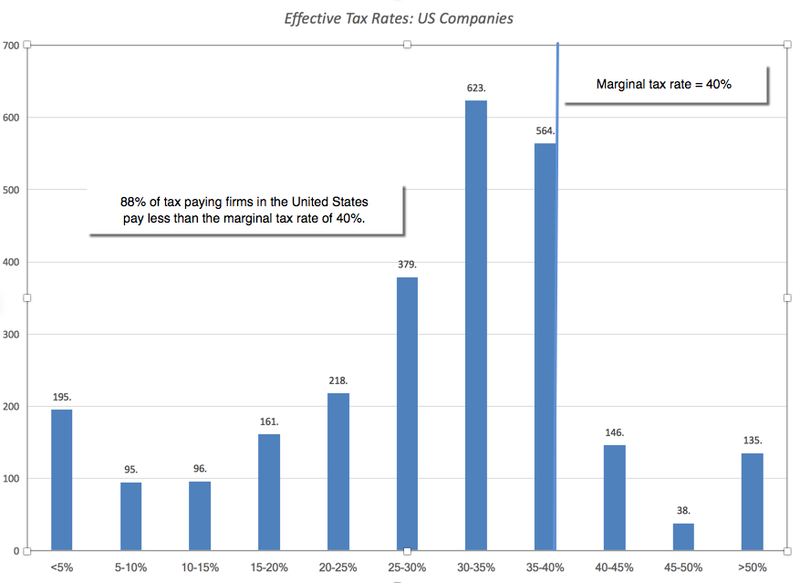 and the fact that 88% of US companies have effective tax rates that are lower than the marginal. The most important reason for this difference, in my view, is foreign operations with those firms that generate revenues outside the United States paying lower taxes, simply because the tax rate on income outside the United States is much lower (and that differential tax is not due until the cash is remitted). While there are some who suggest that a simple fix for this is to force US firms to pay the entire marginal tax rate when they make their income in foreign locales immediately (rather than on repatriation), this will be a powerful incentive for US companies to move their headquarters overseas. At least, based upon the data on taxes paid in 2017, US companies measure up well against the rest of the world, in terms of paying taxes, with only Japanese companies paying significantly more in taxes; Indian and Australian companies pay about what US companies do and the rest of the world pays less. As US companies market their products and services in other countries, it is true that some of this tax revenue is being collected by foreign governments, but that is the nature of a multinational business and is something that every country in the world with multinational corporations has as a shared problem. The entire list can be downloaded here. Again, there are many reasons for the differences, with companies that generate more income from foreign operations paying lower taxes than domestic companies being a primary one. It is also true that the US tax code is filled with sector-specific provisions that provide special treatment for these sectors in the form of generous tax deductions. Most of these tax deductions (like higher depreciation allowances) show up as expenses in the income statement and the taxable income should already reflect them and so should the effective tax rate, but in some cases it does show up as a marginal tax rate. While in most years, these differences across sectors is a just a source of discussion or a reason to vent on the unfairness of taxes, I believe that investors, this year, should be paying particular attention to them. If Congress is serious about rewriting the tax code this year, there is reason to believe that the changed tax code is going to create winners and losers, and especially so, if it is designed to be revenue neutral. Those winners and losers will of course be different, depending on which version of corporate tax reform passes. At one extreme in the version that is least disruptive to the current system, the marginal tax rate for corporations will be lowered, perhaps with a loss of some tax deductions/credits and adjustments on how foreign income gets taxed to reduce the problem of trapped cash. If this change occurs, the effects on value will be mixed, with cash flows increasing for those firms that will have lower effective tax rates as a consequence and the costs of debt and capital increasing as the tax benefits of debt will decrease. The biggest beneficiaries will be firms that pay high effective tax rates today (see the table above for the sectors) and have little debt. The biggest losers will be firms that pay low effective tax rates today and fund their operations with lots of debt. At the other extreme, the House of Representatives is considering a more radical version of tax reform, where the current corporate income tax will be scrapped and replaced with a "Destination Based Cash-flow Tax" (DBCT), a value added tax system, with a deduction for wages, where the tax rate that you pay as a company will be a function of how much of your input material you import and where you sell your output. The first side product of the DBCT will be that debt will lose its historical tax-favored status, relative to equity. The second side product is that, if left unadorned, it will eliminate any incentives to move profits across countries or borders, since the tax is not based on income. Companies who produce their goods with inputs from the US that then export these goods and services will benefit the most, paying the lowest taxes, whereas companies that are heavily reliant on imported inputs that sell their products in the United States would pay the most in taxes. And firms that are heavily debt funded will be adversely affected, relative to those that are not debt funded. Keep it simple: When tax law gets complex, bad corporate behavior seems to follow. Unfortunately, the way legislative processes work seems to conspire against simplicity, as legislators trying to protect specific industries try to make sure that their ox does not get gored. The tax code is not an effective behavior modifier for businesses: I understand the desire of some to use tax law as a corporate behavior modification tool but it is not a very effective one. Thus, if Congress is serious about the DBCT, it should be because they believe it is a more effective revenue generating mechanism that the current complex system and not because it wants to encourage companies to move manufacturing to the United States. If that is a byproduct, that is a plus but it should not be the end game. Make it predictable: Companies have enough uncertainty on their plates to worry about without adding uncertainty about future tax law changes to the mix. It would help if the tax code, once written, was not constantly revisited and revised. I am also a realist and believe that the likelihood of either of these pieces of advice being followed is close to zero. In the process of computing an implied equity risk premium for the S&P 500, I collected analyst estimates of growth in earnings for the S&P 500 companies. Many of these analysts are predicting that earnings for the S&P 500 will grow strongly in 2017 and one shared reason seems to be that companies will pay less in taxes. Since legislative bodies are not known for speedy action, I am not sure that change, even if it does happen, will show up in 2017 earnings but I think that the ultimate test is not in what the tax code does to marginal tax rates (since I think it is a safe assumption that they will come down from) but the changed tax code will mean for effective tax rates. Assuming that the tax code does get rewritten, how will we know whether it is doing more good or harm? I have two tests. First, if companies think about, talk about and factor in taxes less in their decision making, that is a good sign. Second, if fewer people are employed as tax lawyers and in transfer pricers, that is an even better one. I won't be holding my breath on either! In my last post, I pointed to currency confusion as one of the side effects of globalization. In this one, I will argue that as companies and investors globalize, investors and analysts have no choice but to learn how to deal with the rest of the world, both in terms of risk and pricing. One reason that I take a detailed look at country risk and pricing numbers every year is that my valuations and corporate finance rest so heavily on them. Operation, not incorporation: I believe that it is where a company operates that determines its risk exposure, not just where it is incorporated. Thus, you can have US companies like Coca Cola (through its revenues) and Exxon Mobil (from its oil reserves) with substantial emerging market exposure and emerging market companies like Tata Consulting Services and Embraer with significant developed market exposure. In fact, what we face in valuation increasingly are global companies that through the accident of history happen to be incorporated in different countries. If you make the assumption that all country risk is diversifiable, you arrive at the conclusion that you don't need to adjust discount rates for country risk, a defensible argument when correlations across countries were very low (as in the 1980s) but not any more. 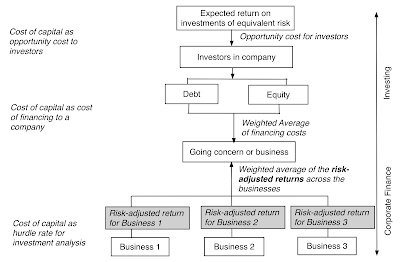 Thus, dealing with country risk correctly becomes a key ingredient of both corporate finance, where multinational companies try to measure hurdle rates and returns on projects in different countries and in valuation, where investors try to attach values or prices to the same companies in financial markets. Sovereign Ratings: Ratings agencies like S&P, Moody’s and Fitch attach sovereign ratings to countries, where they measure the default risk in government borrowing just as they do for individual companies. These ratings agencies often also provide separate ratings for local currency and foreign currency borrowings by the same government. The picture below summarizes ratings by country, in January 2017, and the linked spreadsheet contains the same data. Sovereign CDS Spreads: This measure of default risk is of more recent vintage and is a market-determined number. It is, roughly speaking, a measure of how much you would have to pay, on an annual basis, to insure yourself against country default and unlike ratings can move quickly in response to political or economic developments in a country, making them both more timely and more volatile measures of country risk. In January 2017, sovereign CDS spreads were available for 64 countries and you can see them in the picture below and download them as a spreadsheet at this link. 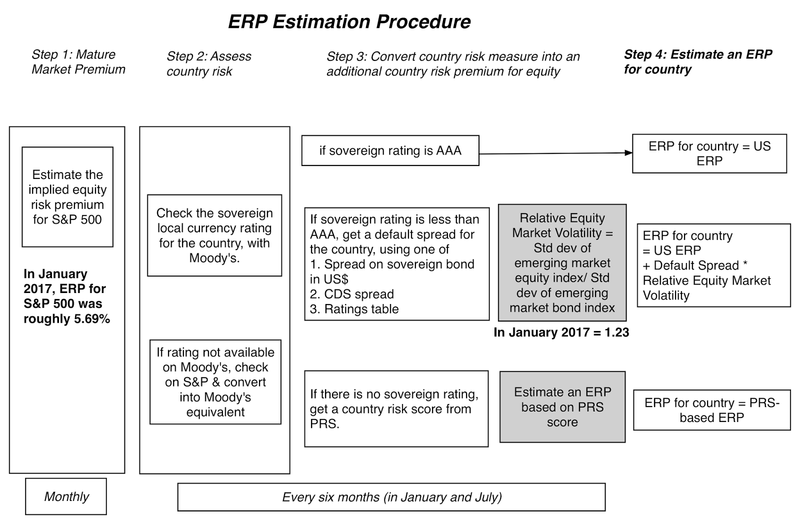 There are many who use country default spreads as a proxy for the additional risk that you would demand for investing in equity in that country, adding it on to a base equity risk premium (ERP) that they have estimated for a mature market (usually the US). The limitation of the approach is that there are not only are equities affected by a broader set of risks than purely default risk but that even default can have a larger impact on equities in a country than its bonds, since equity investors are the residual claimants of cash flows. There are broader measures of country risk, taking the form of country risk scores that incorporate political, economic and legal risks, that are estimated by entities, some public (like the World Bank) and some private (like PRS and the Economist). The first is that they tend to be unstandardized, in the sense that each service that measures country risk has its own scoring mechanism, with World Bank scores going from low to high as country risk increases and PRS going from high to low. The second is that they are subjective, with variations in the factors considered and the weights attached to each. That said, there is information in looking at how the scores vary across time and across countries, with the picture below capturing PRS scores by country in January 2017. The numbers are also available in the linked spreadsheet. 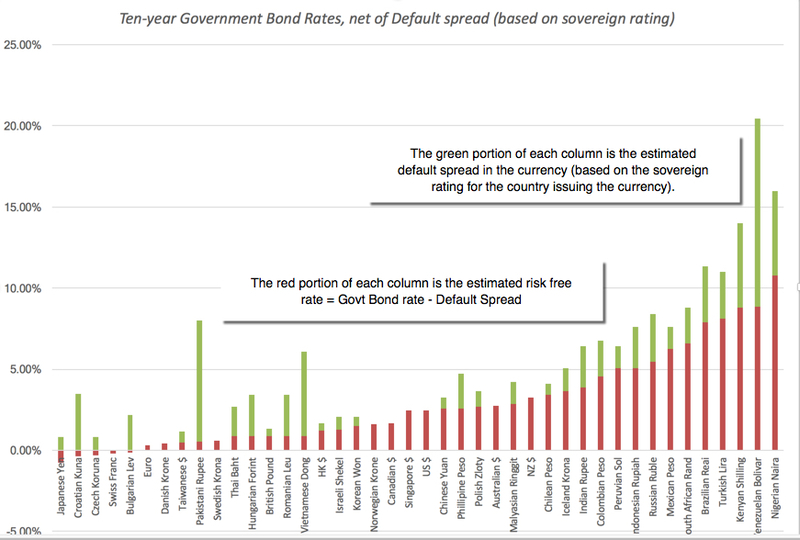 I have my own idiosyncratic way of estimating the country risk premiums that builds off the country default spreads. I use a ratio of market volatility, arguing that default spreads need to be scaled to reflect the higher volatility of equities in a market, relative to government bonds in that market. Since the volatility ratio can be both difficult to get at a country level and volatile, especially if the government bond is illiquid, I compute volatilities in an emerging market equity index and an emerging market government bond index and use the resulting ratio as a constant that I apply globally to arrive at equity risk premiums for individual countries. In January 2017, I started my estimates with a 5.69% equity risk premium for mature markets (set equal to the implied premium on January 1, 2017, for the S&P 500) and then used a combination of default spreads for countries and a ratio of 1.23 for relative equity market volatility (from the index volatilities) to arrive at equity risk premiums for individual countries. For countries that had both sovereign CDS spreads and sovereign ratings, I was able to get different measures of equity risk premium using either. 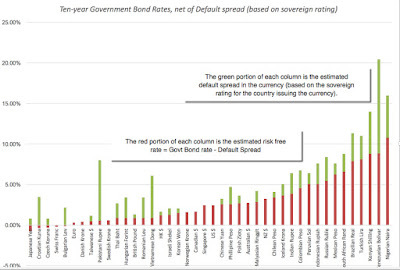 For countries that had only a sovereign rating, I used the default spread based on that rating to estimate equity risk premiums (see lookup table here). For those countries that also had sovereign CDS spreads, I computed alternate measures of equity risk premiums using those spreads. Finally, for those frontier countries (mostly in the Middle East and Africa) that were neither rated nor had sovereign CDS spreads, I used their PRS scores to attach very rough measures of equity risk premiums (by looking at other rated countries with similar PRS scores). The picture below summarizes equity risk premiums by country and the link will give you the same information in a spreadsheet. The one prediction that we can also safely make for next year is that just as we have each year since 2008, there will be at least one and perhaps even two major shocks to the global economic system, precipitated by politics or by economics or both. Those shocks affect all markets globally, but to different degrees and it behooves us to not only be aware of the impact after they happen but be proactive and start building in the expectation that they will happen into our required returns and values. There was a time in the not so distant past, where analysts could do their analysis in their local currencies and care little or not at all about foreign currencies, how they moved and why. This was particularly true for US analysts in the last half of the last century, where the US dollar was the unchallenged global currency and the US economy bestrode the world. Those days are behind us and it is almost impossible to do valuations or corporate financial analysis without understanding how to deal with currencies correctly. Since the perils of misplaying currencies can be catastrophic, I decided to spend this post getting up to speed on the basics of how currency choices play out in valuation and where the numbers stand at the start of 2017. In intrinsic valuation, the value of an asset is the expected cash flows on that asset, discounted back at a risk adjusted discount rate. Note that there is no currency specification in the DCF equation and that analysts are given a choice of currencies. So, what currency should you use in valuing a company? While some analysts view this choice rigidly as being determined by the country in which the company operates in or the currency that it reports its financial statements in, there are two basic propositions that govern this choice. The first is that currency is a measurement mechanism and that you should be able to value any company in any currency, since all it will require is restating cash flows, growth rates and discount rates in that currency. The second is that in a robust DCF valuation, your value should be currency invariant. Put differently, the value of Petrobras should be unchanged, whether you value the company in nominal Brazilian Reais ($R), US dollars or Euros. The second proposition may strike some as impractical, since risk free rates vary across currencies and some currencies, like the $R, have higher risk free rates than others, like the US dollar. But the key to understanding currency invariance is recognizing that currency choices affect both your cash flows and your discount rate and if you are being consistent about your currency estimates, those effects should cancel out. Intuitively, picking a high inflation currency will lead to higher discount rates but also to higher cash flows and growth rates. In fact, if the currency effect is a pure inflation effect, you can see very quickly that you could make your valuation currency-free by doing your entire analysis in real terms, where you cash flows reflect only real growth (without the boost offered by inflation) and your discount rate is built on top of a real risk free rate. Your value should be again equivalent to the value you would have obtained by using the currency of your choice in your valuation. To make these estimation choices real, consider valuing a company that derives half its cash flows in the United States (in US dollars) and half in Brazil (in nominal $R). You can value the company in US dollars, and to do so, you would have to estimate its cost of capital in US $ and convert the portion of its cash flows that are in $R to US$ in future years; that would require forecasting exchange rates. Alternatively, you can value the company in $R, converting the portion of cash flows in US$ to $R and then estimating a cost of capital in $R. This may sound simple, even trivial, but a whole host of estimation challenges lie in wait. But what if you have strong views on the future direction of exchange rates that deviate from inflation expectations? I would argue that you should not bring them into your company valuations for a simple reason. If you incorporate your idiosyncratic exchange rate forecasts into cash flows and value, your final valuation of a company will be a joint consequence of your views on the company and of your views on exchange rates, with no easy way to separate the two. Thus, if you expect the Indian rupee to appreciate over the next five years, rather than depreciate (given your expectations of inflation in the rupee), you will find most Indian companies that you value to be cheap. If that conclusion is being driven by your exchange rate views, why invest in Indian companies when there are far easier and more profitable ways of playing the exchange rate game? Let's start with the challenge of estimating costs of capital in different currencies. There are two general approaches that you can use to get there. 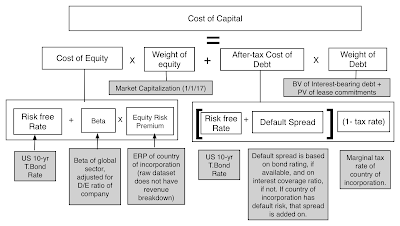 One is to compute the cost of capital in a currency from the ground up, starting with a risk free rate and then estimating and adding on risk premiums to arrives at costs of equity, debt and capital. The other is to compute the cost of capital in a base currency (say the US dollars) and then converting that cost of capital to the local currency. Note that this is neither a theory nor a hypothesis, but a truism, if you add no constraints on either the expected inflation and real interest rate. It is also a powerful starting point for thinking about what goes into a risk free rate and why it changes over time. It is as you add constraints on the components of interest rates that you start making assumptions which may or may not be true, and require testing. You could assume, for instance, that actual inflation in the most recent periods is a reasonable proxy for expected inflation in the future and that the real interest rate can be approximated to by the real growth rate in the economy in the most recent period (not an unreasonable assumption in mature economies). In fact, it is this proposition that I used in my last post on US markets to estimate intrinsic T.Bond rates that I compared to actual rates. I will use this framework as my back up as I look at four different ways of estimating risk free rates in different currencies. In this, the most common practice in valuation, analysts assume that the local currency government bond rate is the risk free rate in that currency. To justify this usage, they argue that governments will not default on local currency bonds, since they can always print off enough currency to pay off debt. 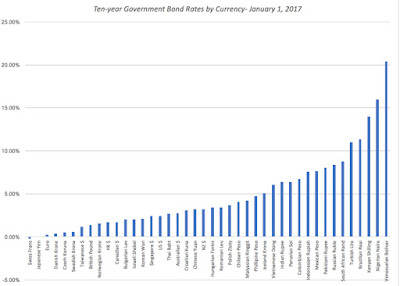 In table 1, I graph local currency 10-year government bond rates as of January 1, 2017 for those currencies where I was able to obtain them. This approach has the advantage of simplicity and is perhaps even intuitively defensible but there are real dangers associated with it. The first is that the government bond may not be liquid and traded and/or the government exercises control over the rate, it is not a market-set rate reflecting demand and supply. The second is that implicit in the use of the government bond rate as the risk free rate is the assumption that governments never default in the local currency. That assumption has been violated at least a half a dozen times just in the last twenty years, thus making the government bond rate a "risky", rather than a risk free, rate. The third is that using government bond rates as local currency risk free rates while using actual inflation rates as expected inflation can lead to both inconsistent and currency dependent valuations. For instance, assume that you decide to value Natura, the Brazilian cosmetics company, in $R and use the Brazilian government $R bond rate of 11.37%, on January 1, 2017, as the risk free rate while using the actual inflation rate of 6.29% (inflation rate last year, according to government statistics) as the expected inflation rate. The value that you estimate for the company will be much lower than the value that you estimate for the company if you valued it in US dollars, with a risk free rate of 2.50% and an expected inflation rate of 2%. The reason for the valuation difference is intuitive. By using the $R numbers, you are effectively using a real risk free rate of 5.08%, when you do your valuation in $R, and only 0.5%, when you do your valuation in US dollars. This approach comes with its own perils that are layered on top of the assumption that the government bond rate is a market-set interest rate. First, it assumes that the local currency sovereign rating is measuring the default risk in the currency and that you can estimate the default spread based on it. Second, both the rating-based and sovereign CDS default spreads are US dollar based and netting it out against a local currency government bond rate can be viewed as inconsistent. The third approach is to ignore government bond rates in the local currency entirely, either because you believe that they are not liquid enough to yield reliable numbers or because they contain default risk. 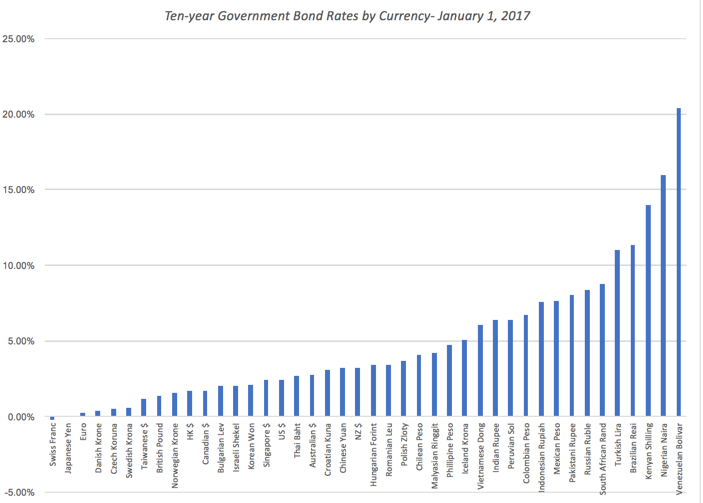 Instead, you start with a risk free rate in a currency where you believe that the government bond rate is a reliable measure of the risk free rate (US Treasury Bond, German Euro Bond) and then add to this number the differential inflation rate between the US dollar and the local currency. The linked table lists differential inflation based risk free rates in all currencies, using expected inflation rates (the World Bank's estimates) and the US dollar (estimated at about 2%, the difference between the US 10-year T.Bond and TIPs rates). If you are concerned about being able to forecast expected inflation in the local currency, you should rest easy. As long as you use that same expected inflation rate in your cash flow estimation, your valuation will be inflation-invariant and currency consistent, since the effects of under or over estimating inflation will cancel out. You can augment this equation with the assumption that long term real growth in an economy will converge on the long term real interest rate. This approach yields the maximum flexibility but it will also create differences in valuations in different currencies. This linked table lists out synthetic risk free rates using this approach, using average real GDP growth as your expected real growth rate. The downside of this approach will be that your valuations will vary across currencies, yielding difficult-to-defend conclusions sometimes, where a company looks cheap when analyzed in US dollars but expensive when valued again in the local currency. The advantage of this approach, as with the differential inflation approach, is that you can estimate risk free rates for many more countries than with the government bond approach. Thus, if your cost of capital in US $ is 8%, the inflation rate in $R is 6% and in US$ is 2%, your cost of capital would be 12.24%. (Using the short cut of just adding the differential inflation would yield 12%). As part of my data update, I have reported costs of capital, by industry, in US dollars, for the last two decades. In this year's update, I have added a differential inflation feature allowing you to change that cost of capital to any currency of your choice in this spreadsheet. You will need to input the inflation rate in the local currency to get the costs of capital to update and you are welcome to use either the estimates that I supply in an additional worksheet or enter your own. Remember, though, that you should stay true to whatever this estimate is when estimating growth rates and cash flows in that currency. If your valuations are sensitive to your currency choice, you face a fundamental problem. You can find the same company, at the same pricing and point in time, to be both under and over valued, an indefensible conclusion. That conclusion, though, is being driven by some aspect of your valuation process that is making your company's fundamentals (risk, growth and cash flow potential) look different when you switch currencies. That, in my view, is a violation of intrinsic valuation and it requires you to make your inflation assumptions explicit and check for consistency.